Our popular executive iPad Presenter have been upgraded and now offer extra functions such as a 360 degree twist; you can use it in portrait or landscape position and can be used as a stand whilst presenting information. Secure your iPad with the handy Velcro fastening. 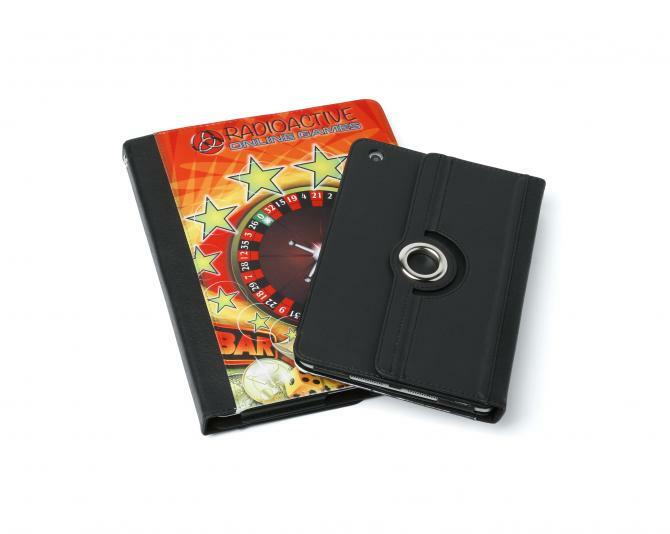 It still offers a very large branding area and is made from high quality materials with an exceptional finish. Suitable for use with the iPad 2 and 3.